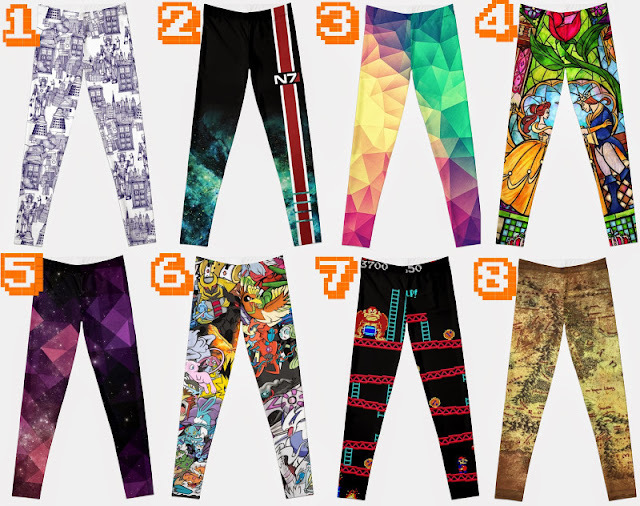 Nerd Fashion - RedBubble now offering leggings! RedBubble, a site for artists to sell their works as various products (shirts, phone cases, cards), is as of today offering leggings as a product option! We took a quick look at what's already available as leggings and here are some of our favorites.